The journal Anatolica is published annually (since 1967) by the Netherlands Institute for the Near East in Leiden. The Editorial Board welcomes scholarly papers on the history and archaeology of Anatolia and adjacent regions from prehistory to the Ottoman era. 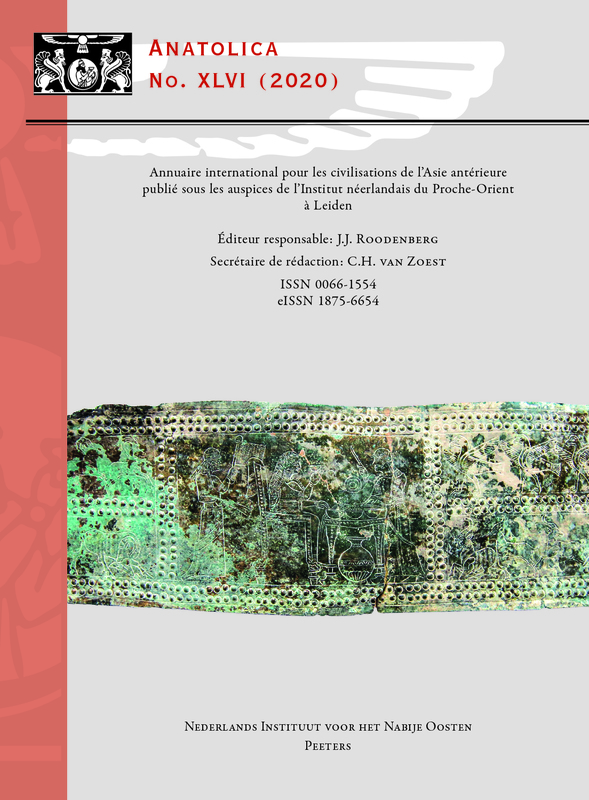 Anatolica indexed and abstracted in Bibliographie linguistique / Linguistic Bibliography; International Bibliography of Periodical Literature on the Humanities and Social Sciences / IBZ online; Index Islamicus; L'Année Philologique; CrossRef; Thomson Scientific Links. Anatolica is a blind peer-reviewed journal.